I made a huge amount of progress last night and finished two backs for two of my quilts. Do you every think your backs could be quilts on their own and its sad that folks don’t get to see them as much. I feel that way about both of these finishes. First up, the back of the “Neighbourhood” quilt is complete. It was made with the Oakshott cottons scraps from the front and Dottie, Cotton and Steel. Each of the blocks in the middle are 5″x 7″, so they are small. I think it complements the front well. The second back, is for Bjorn the Bear. It uses another of Juliet’s (from Tartankiwi) patterns, an Angled Bear Paw Print. 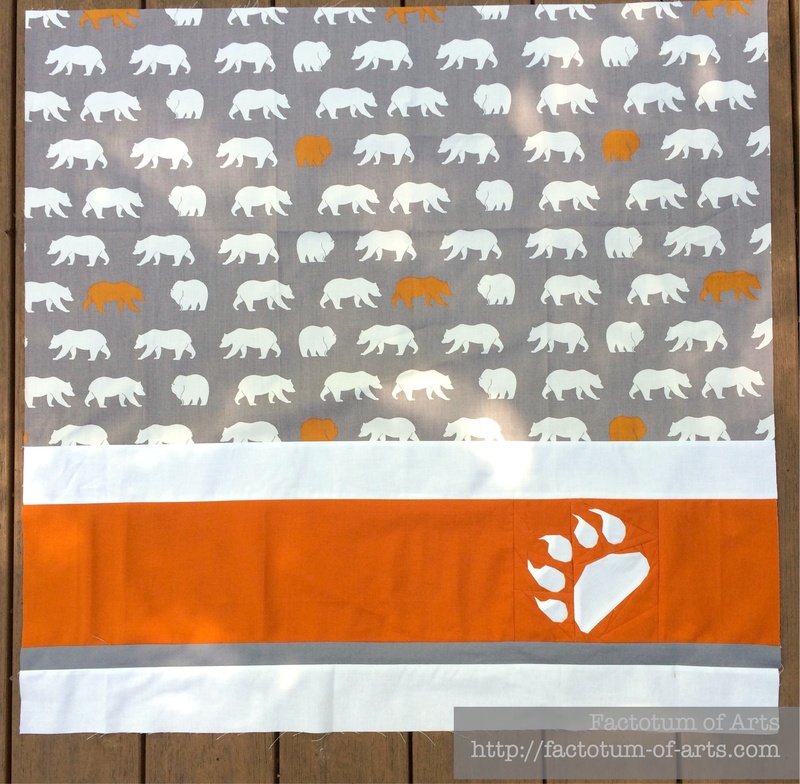 I loved the Feather River Bear print and so totally want to use it on the back, and thought it would look great with the bear print in an off white and rust colored solids. I love it!! Here’s a reminder of the front. 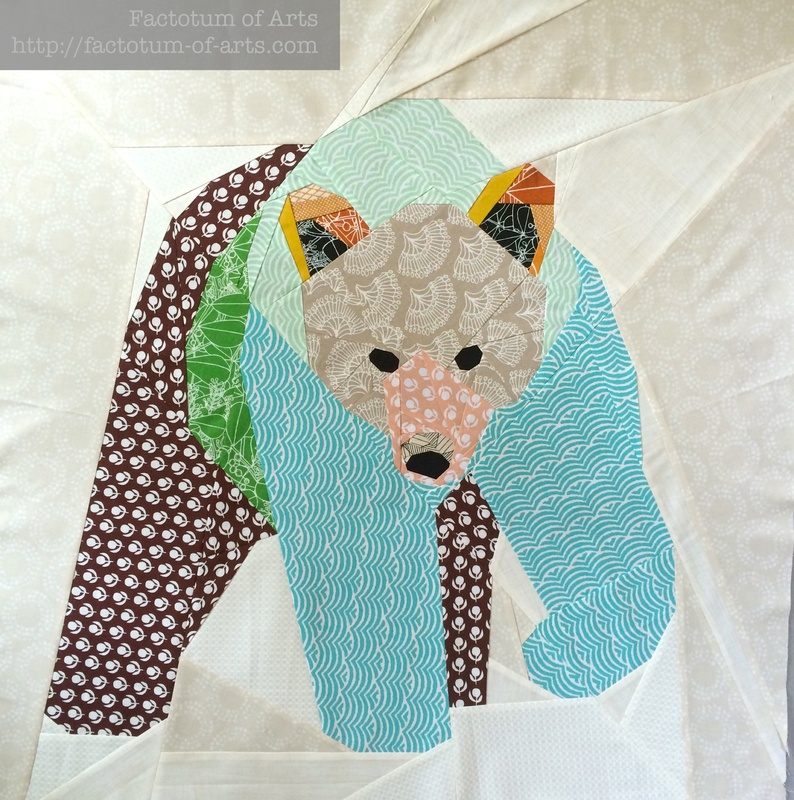 The pattern for this 30×30″ bear is now in Juliet’s Craftsy store. Both of these are on my must finish list this month, but again I will elect the Neighbourhood quilt as my A Lovely Year of Finishes for this month. 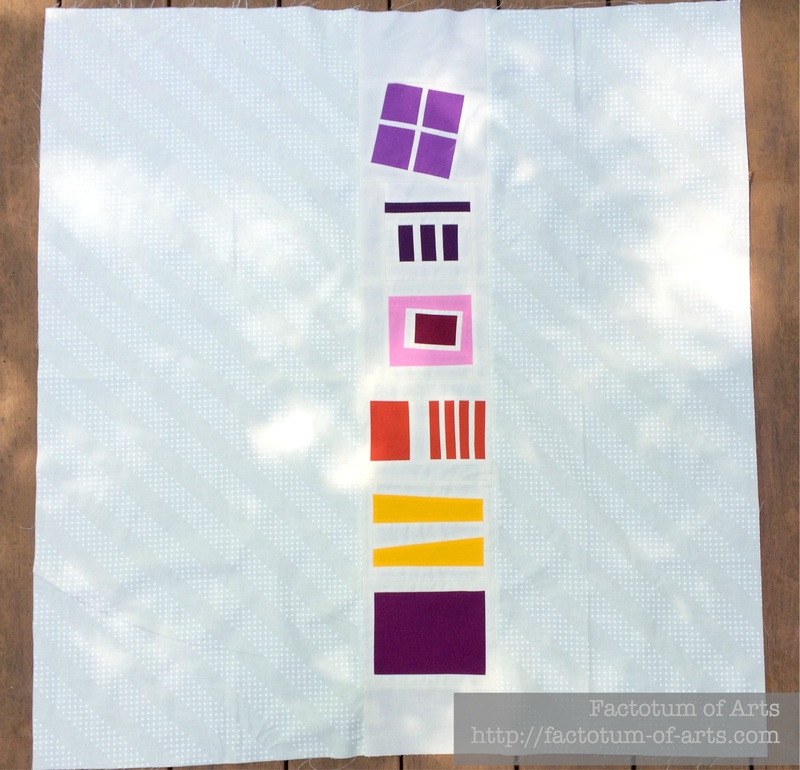 Linking up with Amanda Jean @ Crazy Mom Quilts for Finish it Friday, and linking up for ALOYF (see button on the right). who is…Kay..who is most proud of learning to put zips into things like cushions and bags, it has extended my repertoire of what I can happily make. 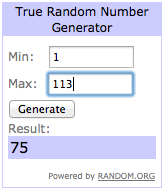 Congratulations, I will be sending you an email soon to get your mailing details!! 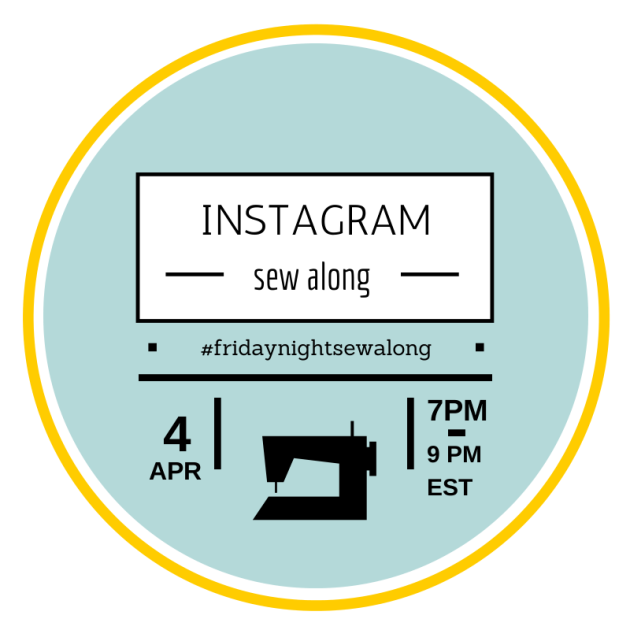 This entry was posted in Uncategorized and tagged Bjorn the bear, Friday night sew along, Neighbourhood Quilt, tartankiwi on September 6, 2014 by mlwilkie. Both turned out great! I’ve been toying with ideas to increase my “back appeal” lately, too. I’ve never worried too much about a quilt back. All my quilts are bed sized and I know the backs will only be seen when they’re taken off for washing, so why spend hours piecing something lovely? That said, your backs are really beautiful! I made quilt backs today, too! I really like that neighborhood back, it matches the top perfect! The I saw that bear fabric when you first posted it. Too perfect for that quilt! 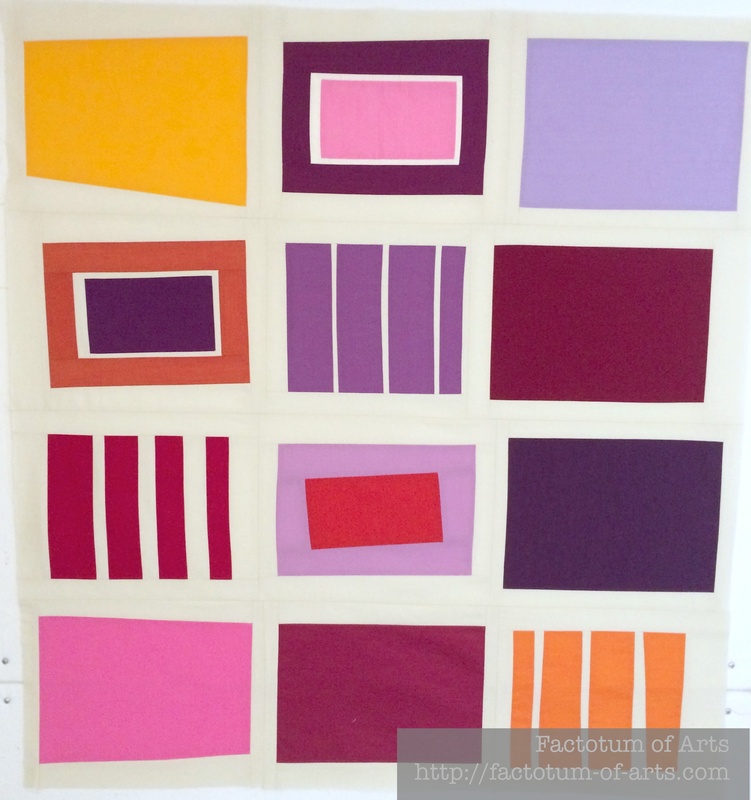 YES, absolutely about backs – I love piecing them and come out with double sided quilts! Yours are fab. I love how the backs and fronts complement each other. Great backs! I think the quilt backs deserves more attention. Why should we finish only the front side of the quilt nice and the other not? Thosr backs deserve to be quilts of their own! I think you should call them reversible quilts! Why not? fantastic quilts – I love the bear in particular!